Before you use your feet. 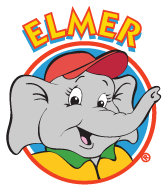 Courtesy of our friends to the north, Canada's Elmer the Safety Elephant teaches kids how to remain safe in all sorts of circumstances--including when walking to school, which is particularly important because coming up on October 5 is International Walk to School Day. I'll post some info about local activities, but check out the website if you'd like to see what your local school is up to next week.